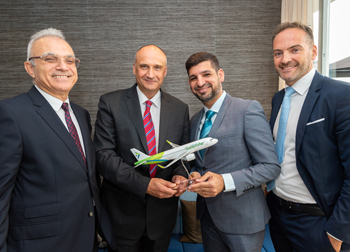 Boeing and Primera Air today announced a Boeing Global Fleet Care agreement for Primera Air's 737 MAX and Next-Generation 737 fleets during a signing ceremony at the Farnborough International Airshow. 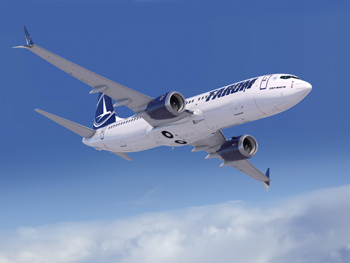 Boeing and Xiamen Airlines announced today the airline will become the first in China to use Optimized Maintenance Program, a service that improves operational performance, powered by Boeing AnalytX. 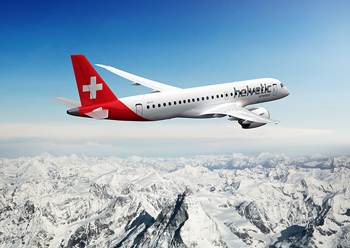 Embraer announced today at the Farnborough Air Show that Zurich based Helvetic Airways has signed a Letter of Intent (LoI) for 12 E190-E2 and purchase rights for a further 12, with conversion rights to the E195-E2. 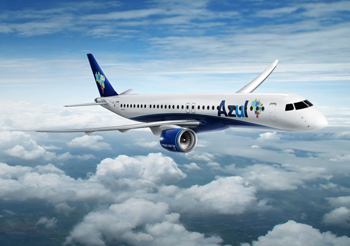 Embraer and Azul Linhas Aéreas Brasileiras S.A. announced today, at the Farnborough AirShow 2018, a Letter of Intent for a firm order of 21 E195-E2 jets. 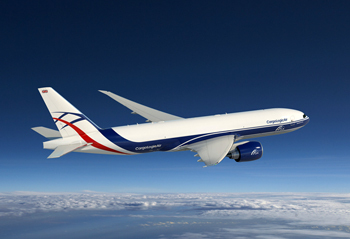 This contract has a value of USD 1.4 billion. 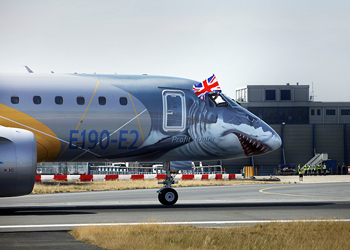 The order will be added to Embraer's order book as soon as the firm contract is completed. 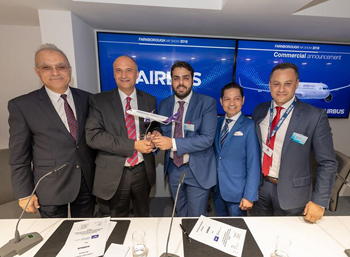 Embraer announced today at the Farnborough AirShow that has signed a Letter of Intent (LoI) with an undisclosed customer from Spain, for up to five E195-E2 jets - three firm orders and two options. 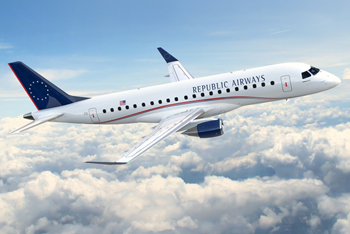 Embraer and United Airlines announced at the 2018 Farnborough Airshow that they signed a firm order for 25 E175 jets in a 70-seat configuration. 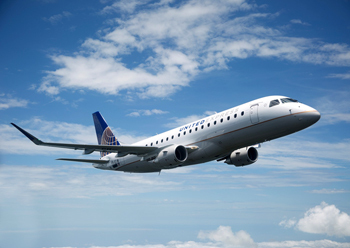 The contract has a value of USD 1.1 billion, based on current list prices, and will be included in Embraer's 2018 third-quarter backlog. 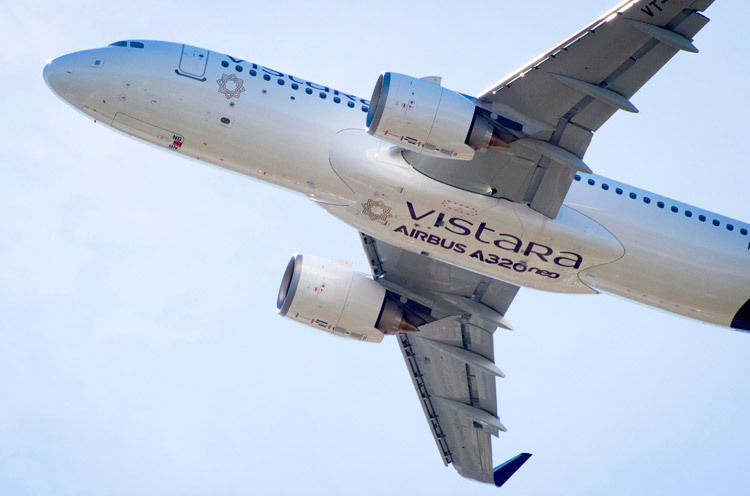 Embraer announced today, at the Farnborough Airshow 2018, that it has signed a Letter of Intent (LoI) with Nordic Aviation Capital (NAC) for three E190 aircraft. 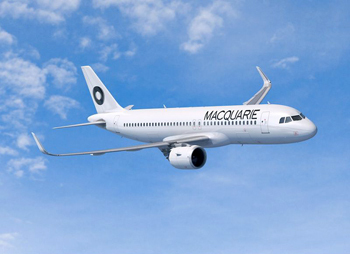 The deal has an estimated value of USD 156 million, based on Embraer's list prices. 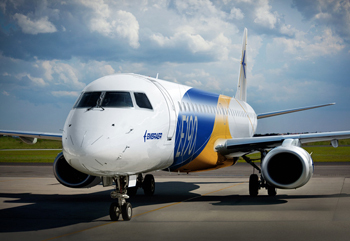 The order will be included in Embraer's backlog as soon as it becomes firm. 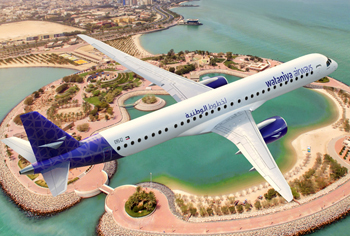 In a deal that will see the Middle East's first E2 operator, Embraer announced today, at the Farnborough Airshow 2018, that has signed a firm order for 10 E195-E2 aircraft with Kuwaiti airline, Wataniya Airways. 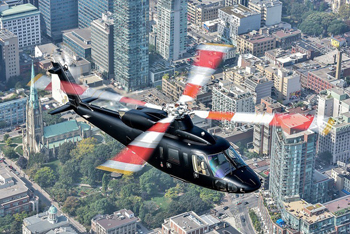 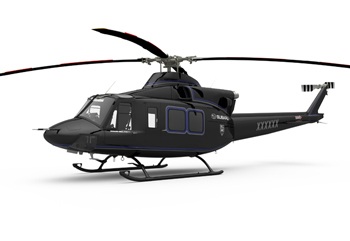 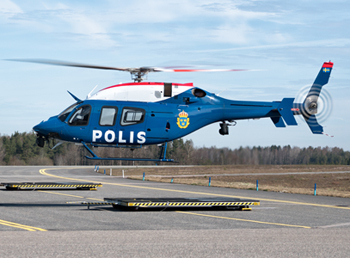 At a ceremony held at Farnborough Air Show today, BELL HELICOPTER, a Textron Inc. company and SUBARU Corporation announced their collaboration on a commercial enhancement of the BELL 412 EPI, which was type-certified this month as the 412 EPX, in support of the Japan UH-X program. 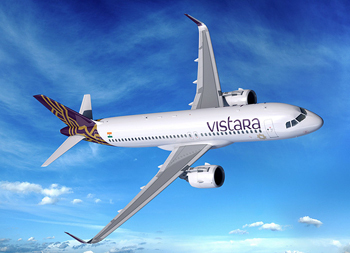 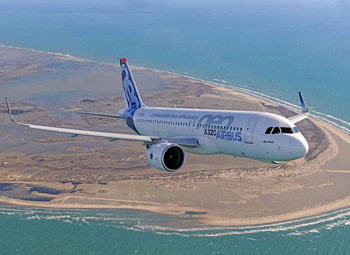 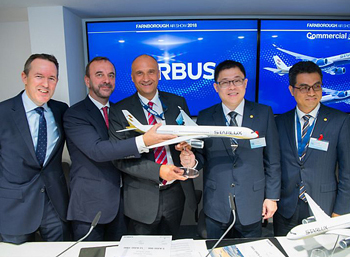 Airbus has announced the signature of a Memorandum of Understanding with a leading global lessor for 80 A320neo Family aircraft. 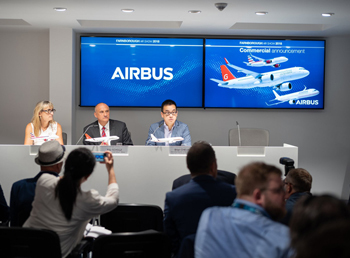 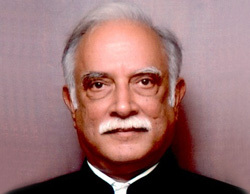 The agreement was completed during the Farnborough Airshow. 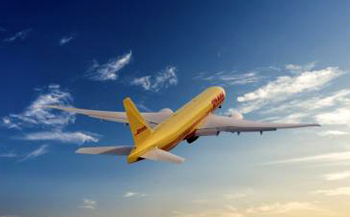 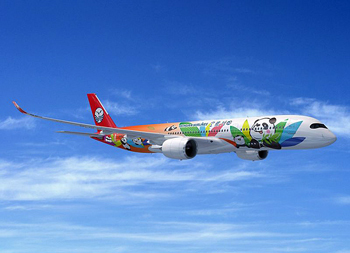 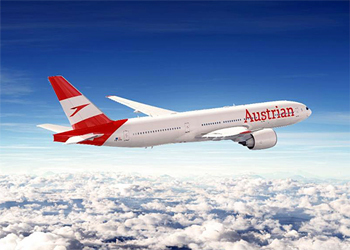 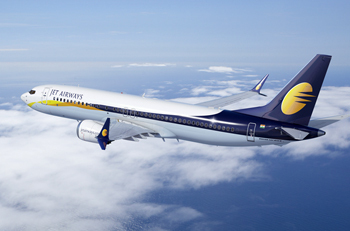 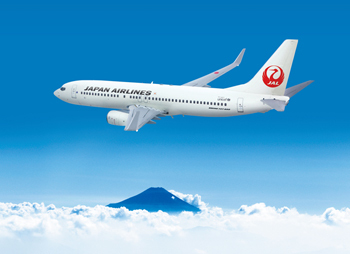 The commitment re-enforces the appeal of the world's bestselling single aisle Family to aircraft leasing companies. 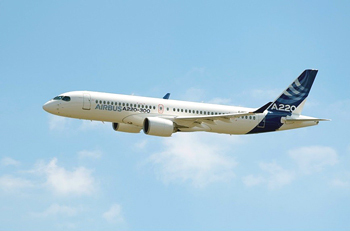 Boeing and Jackson Square Aviation (JSA) announced the leasing company has ordered 30 737 MAX airplanes in its first direct purchase from a jet maker, reflecting the evolution of the airplane lessor's business and its confidence in the market for 737 MAXs. 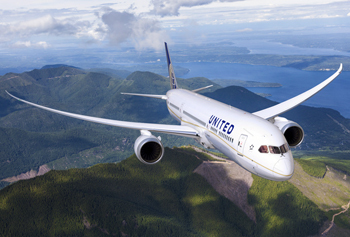 Boeing today announced services orders and agreements worth up to $2.1B that provide customers more value throughout the lifecycle of their investments. 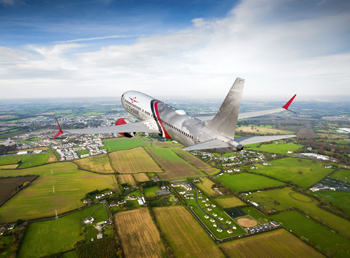 Embraer forecasts demand for 10,550 new aircraft with up to 150 seats worldwide, worth USD 600 billion, over the next 20 years. 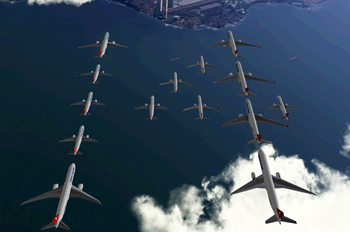 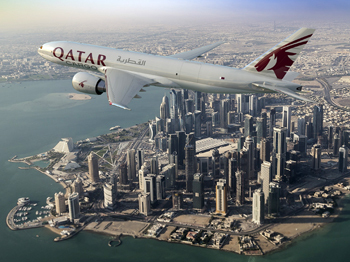 The in-service fleet is set to increase to 16,000 aircraft, up from the 9,000 aircraft currently in operation. 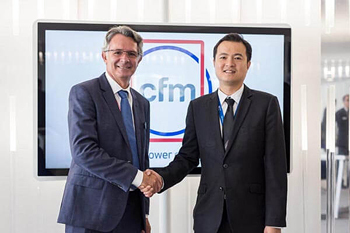 2018 orders for CFM International's two product lines have remained strong through June, with the company booking orders for a total of 1,371 engines, including 65 CFM56 engines (military and spares) and 1,306 LEAP engines (including commitments and spares). 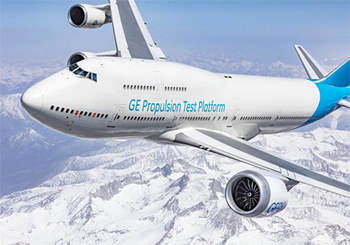 On July 13, 2008, CFM International's parent companies, GE Aviation and Safran Aircraft Engines, made history by launching the advanced LEAP-X engine program. 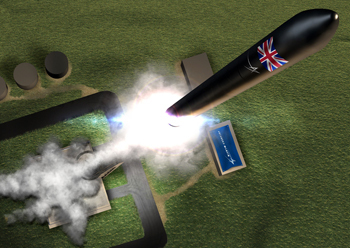 Ten years later, this engine is delivering everything that was promised that day and more. 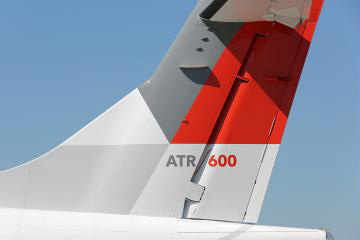 African airline Air Botswana today signed a firm order for two ATR 72-600s. 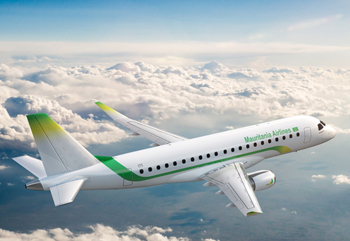 Having operated ATR -500 series aircraft since 1996, the Botswanan national flag carrier has been an ATR operator for more than 20 years and will now upgrade and restructure its fleet with the addition of the latest generation turboprop aircraft. 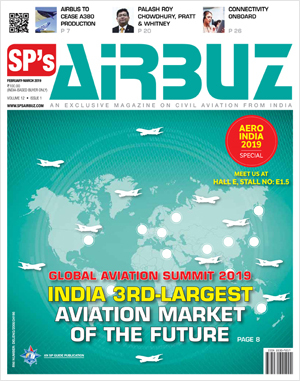 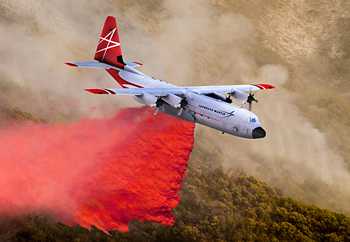 Air Saint-Pierre has signed a Memorandum of Understanding with market leading turboprop manufacturer ATR for the purchase of a new ATR 42-600 aircraft. 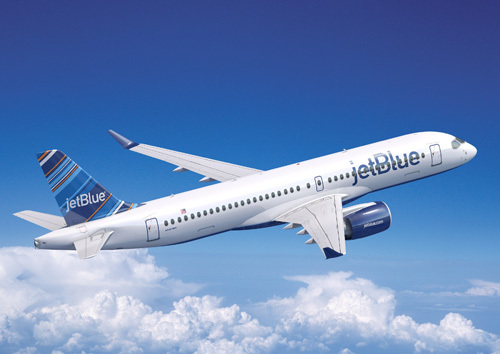 Pratt & Whitney, a division of United Technologies Corp. (NYSE: UTX), congratulates JetBlue Airways (NASDAQ: JBLU) on its selection of 60 firm Airbus A220-300 aircraft, which are powered exclusively by Pratt & Whitney Geared Turbofan™ (GTF) engines. 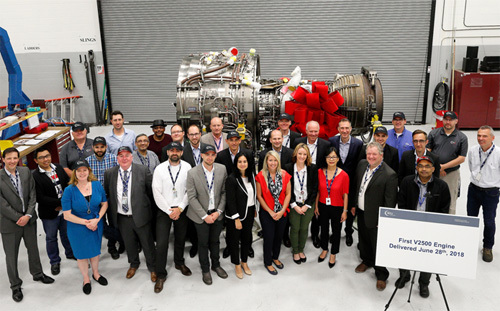 MTU Maintenance Canada celebrated the redelivery of the first V2500 engine for customer IAE International Aero Engines AG (“IAE”) in Vancouver at the end of June. 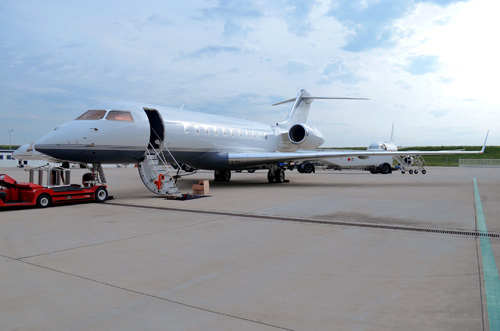 AMAC Aerospace is pleased to announce that three maintenance contracts on Global Express aircraft have been awarded to AMAC Aerospace in Basel, Switzerland. 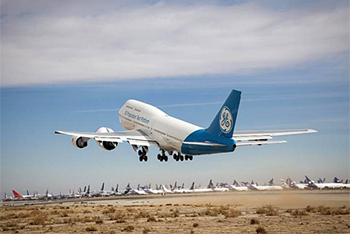 EPCOR, the AFI KLM E&M subsidiary specializing in MRO solutions for pneumatic systems and Auxiliary Power Units (APU), has announced the signature of a new contract with existing client El Al. 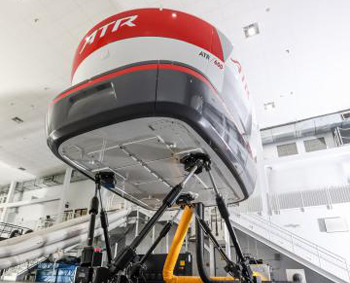 ATR, the world's leading turboprop manufacturer, has received certification from the European Aviation Safety Agency (EASA) for its new ATR 72-600 Full Flight Simulator (FFS) based at its headquarters in Toulouse.